Red Hot Wild is a kind of old school themed slot game that mimics that very distinctive feel of retro one arm bandits. Everything from the design to the corny sound effects is made to look like you’re playing a vintage game. It has the stereotypical 3 by 3 layout and fairly simplistic gameplay. 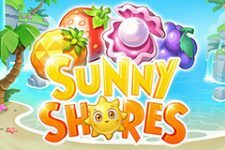 In addition, you will also be seeing all the most common slot game symbols, which are, of course, fruits. There are pairs, plums, melons and the obligatory cherries. The backdrop is a pretty simple fiery representation of sorts – nothing too complex. You will notice that the graphics aren’t too sophisticated here in general and that’s part of the charm of retro slots. However, as old school as this game aims to be, you can’t avoid the modern touches that are already, in fact, in the title. Read on to find out what juicy special features the developers have included here. As we were already keen on mentioning, the layout here is pretty simple, reminiscent of the forefathers of modern day video slots. It features a grand total of only 3 reels and 3 rows. The paylines here are fixed at the number 5. As far as stake amounts go, though, they’re pretty flexible, offering a comfortable range for both penny players and high rollers alike. Betting amounts start off at as little as 10c per spin and soar up to a substantial $500 per spin. And just as we already mentioned, the symbols on these reels are all the usual suspects. They include the customary cherries, lemons and oranges, which are all of the same lowest value. Following them are the green pears, plums, watermelons and the Bar symbols. Then there are the golden bells and the red lucky 7s. Last but not least is the Wild symbol, which offers the highest payouts on these reels. Furthermore, it can replace any of the lower value symbols to help contribute to winning sequences. There are no exceptions. But note that in the beginning of the game, you will be asked to select your Wild symbol of choice. Yes, there are different ones and each one comes with a multiplier of its own. The available multipliers are 1x, 2x, 3x, 4x, 6x and 10x. In addition, you can choose to play with a different Wild symbol at any point throughout the game. Simply click on the Change button to select your Wild of choice. The game developers have stayed true to the theme of old school slot machines, which is why you won’t find any special symbols in this game. There are no Bonus symbols, no Scatters and no freespins or pick-me games to diversify gameplay. However, it’s important to remember that this is also a Barcrest slot game. 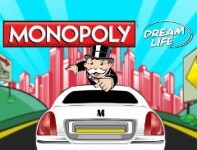 And as such, it includes the typical Barcrest feature – the Big Bet mode. The Big Bet mode will allow players to buy five consecutive spins at a higher stake, but with extra features. This mode automatically increases the RTP from the regular 94% and 96% (depending on your stake amount) to the much more attractive 98%. What’s more, you can benefit from more functions that the Wild symbols will exhibit throughout this mode. There are two available stake amounts: $20 and $30. The former will have the Stepping Wilds feature for you to take advantage of. It will see to it that each Wild symbol that appears on the reels during the game will step down the reel one position for each next spin. As for the latter option of $30, you can make use of the Persistent Wilds feature. It will make sure that any Wilds that land on the reels will remain locked in place throughout the duration of the Big Bet mode, making for even better winning oportunities. If vintage slot machines are your thing and you’ve enjoyed the setup of Red Hot Wild, then there’s another similar Barcrest slot that you may like. 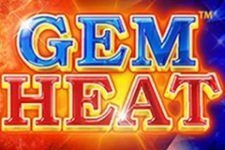 It goes by the name of Hot Slot and has a very close feel to the one in this game. The symbols are almost the same as in Red Hot Wild, however the layout features 2 extra reels and, hence, more paylines. In addition, you can also benefit from the Big Bet mode to increase your winning chances. Another high variance slot game that shares the exact same theme and layout is 7’s to Burn by developer Real Time. Red Hot Wild is a medium to high variance slot game, which offers much for its simplistic setup. The developers have managed to squeeze as much out of a Wild symbol as is possible and it seems to work out just great. In addition, the Big Bet mode will certainly raise the stakes and add more excitement. 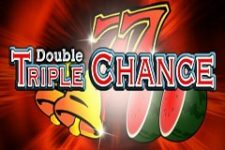 But if you’re into more contemporary slot games offering sophisticated bonuses, this might not be the right game for you.